The Healey Building in the historic part of downtown arguably has the most charm, character, and elegance of any condo high-rise in the city. The building itself was originally built back in the early 1900s, but it was completely revamped to feature some of Atlanta’s most spectacular living spaces in 2001, providing potential buyers the perfect mix of new and old. The building’s historic architecture is what no doubt catches the eye of most people initially, but inside, the beautiful finishes and pristinely maintained common areas tend to win most buyers over, especially after you’re able to fully take in the awesome city views you’ll enjoy from most units throughout the building. In addition, for an older structure, condos for sale at The Healey Building are also surprising spacious, even in the case of the smaller one-bedroom units you’ll find here too. 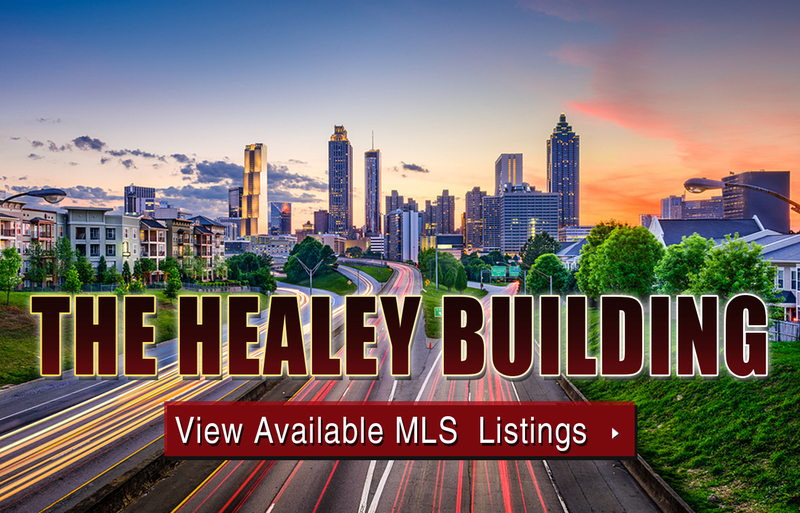 In the meantime, if you’d like more information about The Healey condos for sale in Atlanta, contact The Zac Team today at (404) 564-7272, or click on the link below to start viewing what’s available on the MLS. Listed below are recently closed sales at The Healey Building. Whether you’re thinking about buying or selling a condo at The Healey Building, checking to see what other comparable properties have sold for in recent weeks and months provides helpful insight into current market conditions within the community. For more information about The Healey Building condos for sale or for a complete list of recent homes sold in the neighborhood, contact The Zac Team today! Can’t find what you’re looking for in The Healey Building Atlanta? Start browsing other Atlanta real estate for sale or give the Zac Team a call at (404) 564-7272 for help with your new home or condo search today!